Correlation filters for object detection use information about the appearance and shape of the object of interest. Therefore, detection performance degrades when the appearance of the object in the scene differs from the appearance used in the filter design process. This problem has been approached by utilizing composite filters designed from a training set containing known views of the object of interest. However, common composite filter design is usually carried out under the assumption that the ideal appearance and shape of the target are known. 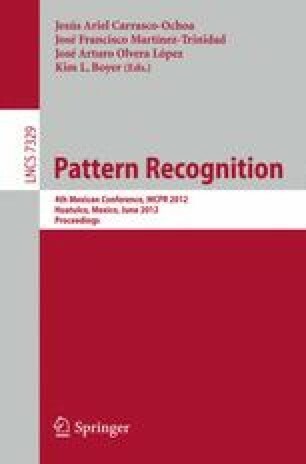 In this work we propose an algorithm for composite filter design using noisy training images. The algorithm is a modification of the class synthetic discriminant function technique that uses arbitrary filter impulse responses. Furthermore, filters can be adapted to achieve a prescribed discrimination capability for a class of backgrounds if a representative sample is known. Computer simulation results obtained with the proposed algorithm are presented and compared with those of common composite correlation filters.